RETIREMENT SALE**ATTENTION** Welders and Machinists -- Golden opportunity!! to buy an established welding, fabricating and machining shop. Positive cash flow !! HUGE client base !! Service area reaches from Rocky Mountain House to Cochrane. Fully equipped and set up to run efficiently. Reliable employees. Adjacent lot is used for storage and parking. The building has 2 bays completely outfitted with equipment and materials to finish the Big jobs. There is a private office, 2 washrooms and a mezzanine. Chain link fenced back yard houses extra materials plus a covered c-can hydraulic shop and extra storage. This business is dedicated to satisfying clients in the oil and gas industry, lumber mills, forestry, constriction and aggregate agriculture and general repairs. It offers a variety of services including a mobile shop so that work is completed right on job site. In-house design and fabricating service -- no job is too big or too small. Vendor will lease with option to buy or sell as a whole package. The vendor will lease the land and buildings to the buyer for $6,400.00 per month. Courtsey of CENTURY 21 WESTCOUNTRY REALTY LTD..
Home for sale at #812 5 AV Sw Sundre, Alberts T0M 1X0. 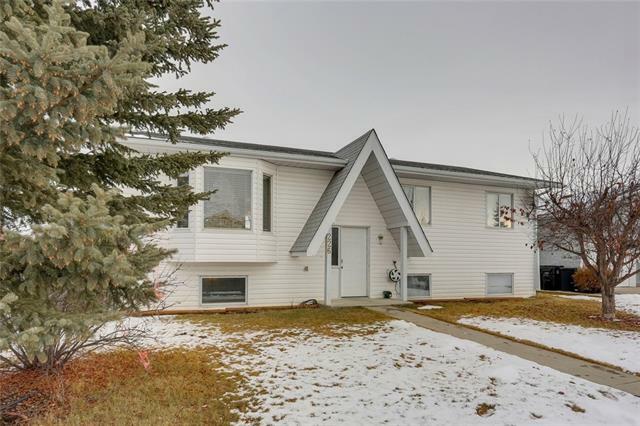 Description: The home at #812 5 AV Sw Sundre, Alberta T0M 1X0 with the MLS® Number C4191655 is currently listed at $799,000.